Part two of a 2 part article on how the shuttles got their names, and what happened to them. This part: Shuttles Discovery, Atlantis, and Endeavour. With the last three shuttles in the fleet, NASA continued the practice of naming their amazing spacecraft after historic exploration and research vessels. Others had ventured out onto the high seas for the sake of discovery and scientific advancement. Now, NASA was sending men and women high above our heads in a continuation of the same broad goals. The names that would carry them would be the same. The new ships and missions might be worlds different, but aboard both the old and the new vessels would be kindred souls of adventure and scientific curiosity, hearts yearning to reach for and touch the unknown. Space shuttles Discovery, Atlantis, and Endeavour continued to carry humans to destinations that would expand our frontiers, just as ships after which they were named had carried sailors in their own scientific pursuits. 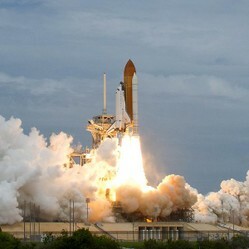 Image: The Last Liftoff (Atlantis, STS-135), p.d. 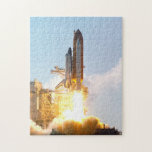 The final launch of Atlantis on July 8, 2011, was the beginning of the end of the Space Shittle era. The final curtain fell on manned space flight aboard American shuttles 13 days later, when she landed at Kennedy Space Center's Shuttle Landing Facility in Florida. 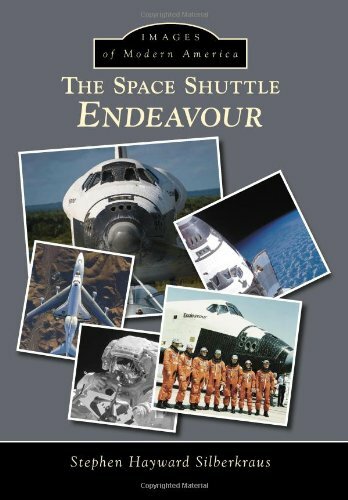 Of the five space worthy vehicles that flew during the shuttle era, only three survived when the program came to an end: Discovery, Atlantis, and Endeavour. Not only did they survive, but you can see them today. They are on display - one each in Virginia, California, and Florida. 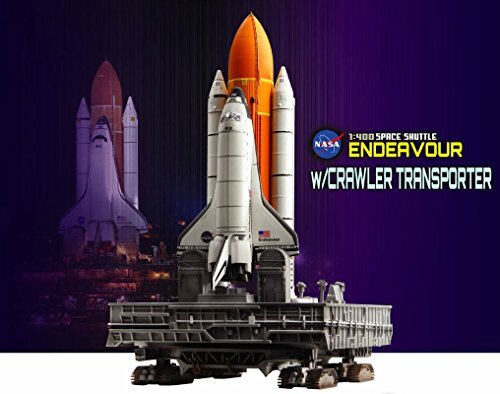 This is the second of two articles on the origin of the shuttle names. In the cases of Columbia and Challenger, NASA was pretty definite about the ships they were naming their crafts after. However, in choosing the name for their third shuttle, they mentioned seem to be recognizing a centuries long tradition of christening numerous vessels as "Discovery." They did mention several specific ones, though. Commanded by Henry Hudson in 1602, the Discovery sailed into the bay that now bears his name. In 1607, she was one of three ships instrumental in the founding of Jamestown, and was left there when the other two returned to England. Two British research vessels, both named RSS Discovery (1901 and 1962), explored and conducted research of the waters near both the north and south poles. And now, another Discovery has carried explorers and scientists into space. Discovery in Space on STS-133. She had just undocked from the International Space Station. In the background is the coast of Morocco. Photo Credit, P.D. Her first mission, STS-41-D, lifted off on August 30, 1984, after three previous launches were scrubbed, and Discovery was on her way to put three communications satellites into orbit. Over the years, she would deploy a total of 31 satellites. The workhorse of the fleet, she flew 39 missions - more than any other space shuttle - covering over 148 million miles, and spending accumulated days equal to an entire year in space. Her final mission, STS-133, was to the International Space Station. After returning to earth for the last time on March 9, 2011, she was decommissioned and given to the Smithsonian. Took former astronaut and Senator John Glen into space, the oldest man in space, at age 77. 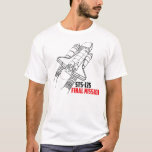 Flew the 100th shuttle mission. Carried the first Russian Cosmonaut to fly on a shuttle. After the both the Challenger and Columbia disasters, flights were halted for extended periods. (32 and 29 months respectively.) In BOTH cases, it was Discovery that was chosen as the spacecraft for NASA's "Return to Flight" with the first launch following the hiatus. The Shuttle Atlantis was named for RV Atlantis, a ketch (two masted) sailboat that was the first research vessel for the Woods Hole Oceanographic Institution. She was their primary vessel from 1931 to 1964. She was equipped to carry a crew of 17, plus five scientists. In addition to oceanography, she was also outfitted for the study of marine geology and biology. With one of the initial uses of a fathometer with continual recording capability, in 1947 the scientists aboard the RV Atlantis were able to make the first scientific location and description of a submarine abyssal plain. When a boat or ship gets a new owner, she usually gets a new name. In 1966, the Atlantis was sold to the Argentinian Navy, who refurbished her and rechristened her El Austral, dedicated to oceanographic research in the southern hemisphere. Today, she has been renamed once again, as the Dr. Bernardo Houssay, in honor of the Argentine Nobel Prize winner. Over her lifetime, the ketch has logged some 130,000 miles in the service of science, and is the oldest still serving research vessel in the world. Atlantis Begins Her Maiden Flight, pd - one of my favorite launch pictures! On October 3, 1985, she soared into space, carrying five astronauts and two Department of Defense satellites. Interestingly, the mission commander on her maiden flight, Karol J. Bobko, was the only astronaut to fly on three different shuttles - Challenger, Discovery, and Atlantis. She was the next to last one to be built. After 33 missions, and having carried 207 people in space, Atlantis landed at Kennedy Space Center for the last time on the morning of July 21, 2011. As she rolled to a stop, the space shuttle program itself came to an end as well. Flew America's 100th manned space flight. First docking with Russian Space Station MIR. Flew the final servicing mission to the Hubble Space Telescope. Flew the last ever mission of NASA's Space Shuttle Program. Atlantis was built in half the time it took to build Columbia. She was the only shuttle to fly while the vessel she was named after was still sailing. Enjoy this beautifully done video tribute to the space program in general, and Atlantis in particular. 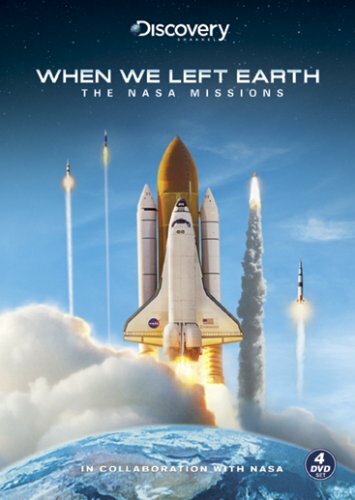 A must see, it includes launch footage, one of the clearest SRB separation and descents you'll see, beautifully captured of and from the ISS, the shuttle coming home and landing. In 1768, the Royal Navy purchased the Earl of Pembroke, and renamed her His Majesty's Bark the Endeavour. That done, the sent her of to sail the high seas in search of the "unknown southern land," with famed explorer Lt. James Cooke at the helm. En route to his eventual destination, Cooke made for Tahiti, where he played his assigned role in a worldwide scientific observation of Venus across the sun. The notations were compiled in an effort to obtain the data necessary to calculate the distance from the earth to the sun. From there, the company of sailors and scientists continued on to New Zealand and Austraila, which was charted for the first time. 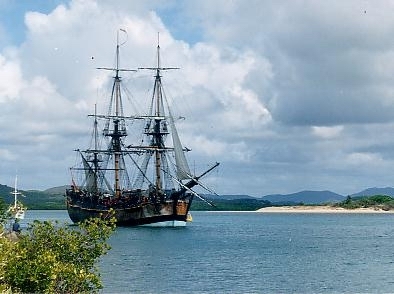 When they made landfall at Botany Bay, the Endeavour became the first European vessel to arrive at Australia's east coast. 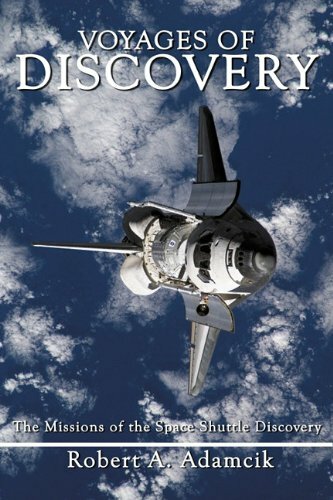 You can read more about Endeavour and Cook's first voyage of discovery in this archived article. After her three year scientific and exploration voyage, Endeavor served several masters and purposes, including ferrying troops to America during the Revolutionary War. Although she met her end off the coast of Rhode Island in 1778, but she's not completely lost to history. The last orbiter vehicle built, OV-105, was Endeavour. She was built to replace the lost Challenger, and flew a total of 25 missions between her first launch on May 7, 1992 and her last touchdown at Kennedy Space Center on June 1, 2005. After their journey in space, the small flags were presented to the victims' families. Barbara Morgan, who was the 'back up' teacher in space for Christa McAnliffe, went on to become a full time astronaut. She flew on Endeavour's mission STS-118. Did You Ever See a Launch in Person? I went, but the launch was scrubbed, so I didn't get to see it. I have been there and seen just one or two. I witnessed three or more launches in person. No. I never had a chance to do it. After successful completion of her final mission, STS-133, on March 9, 2011, Discovery was decommissioned. She had flown into space and back 39 times. Though she would never again launch into space, she did have one final flight to make. She was transported on the back of a Shuttle Carrier Aircraft from Kennedy Space Station to Dulles International Airport in Washington, D.C. There, she nestled into her forever home with the Smithsonian Institution where present and future generations can see her up close, and learn about NASA's glory years. Since the spacedraft is so large, it is displayed in a special area reserved for larger historic aviation and space artifacts and related items. That special area is not at the National Mall, but in an enormous facility called the Stephen F. Udvar-Hazy Center. near Dulles International Airport. Daily, from 10:00 am til 5:30 pm. Endeavour had a longer journey to her new home than did either of her two sisters. Not only did she fly farther on the back of a Shuttle Carrier Aircraft, she had a long and arduous journey on the ground once the 747 landed in California. A path actually had to be cleared for her! So, she waited at LAX for three weeks while the way was made ready. Trees on the sides of of streets were removed, as were power poles, cuttting off power along her path. But Californians didn't seem to mind. They were patient, and greeted her by the hundreds along the way. Over several days she was ever so slowly moved the 12 or so miles to the California Science Center. She's now on temporary display there. In 2017, she'll be moved once more to a place that's being prepared for her - the new Samuel Oschin Air and Space Museum. There, visitors will see her as if she is once more ready to blast off ... complete with solid rocket boosters and an external fuel tank. What a beautiful sight that will be! Endeavour's slow trip from LAX to the California Science Center was the one and only time ever that a shuttle traveled on city streets. It was such a painstaking journey that it took several days to move the spacecraft some 10 or 12 miles. This following amazing time lapse photography compresses those several days into just a few minutes, and is utterly fascinating to watch. Atlantis flew NASA's last shuttle mission ever. She landed at KSC at 5:57 am on July 21, 2011. With that landing, she had come home to stay. The brand new, specially designed facility housing NASA's Space Shuttle Atlantis exhibit is scheduled to opened in mid 2013, at Kennedy Space Center. The last ever shuttle to fly is displayed there, suspended at an angle carefully calculated both to simulate flight and to allow visitors to see inside the payload bay. There's a bit of an insider joke to that special angle, too. The orbiter hangs at precisely 43.21 degrees. Think about it. 4321, as in "4-3-2-1, liftoff." There was another shuttle, a test vehicle built first, OV-101, named Enterprise. She never went to space. The intent was to modify her later for space flight, but that never happened. She was for a time displayed at the Smithsonian. The Smithsonian received Discovery, and Enterprise went to the Intrepid Sea, Air & Space Museum in New York. Hurricane Sandy damaged Enterprise's vertical stabilizer and her protective pavilion. I believe repair of that damage is now comploets. The Canadarm from Shuttle Endeavour was sent to Ottawa, Canada and is on display there at the Canada Aviation and Space Museum. Officially called the Shuttle Remote Manipulator System, or SRMS, the arm allowed astronauts to take cargo out of the payload bay, move it to where the wanted, and release it. The SRMS was a child of Canada, so it's fitting that Endeavor's arm went north. The mechanism was designed and built by SPAR Aerospace Ltd, of Edmonton. That company is now operating as MD Robotics, a part of the MacDonald Dettwiler company. Where the names of Space Shuttles Columbia and Challenger came from. NASA's stroke of genius in choosing names for the shuttle was inspired by maritime history. America's manned space program has made nearly unimaginable accomplishments. But they came at a price. 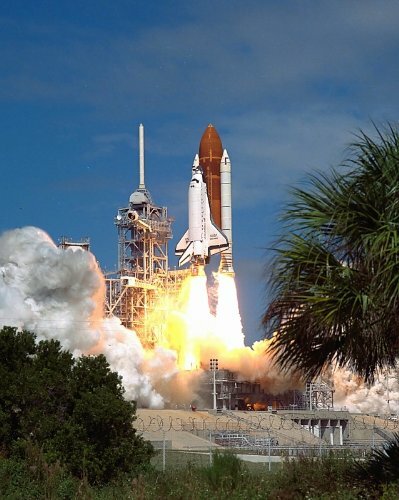 It was a high one for astronauts aboard two space shuttles. Delight a young child with a rocket ship bedroom or inspire a teenager with a solar system theme. Maybe they'll become an astronaut someday! 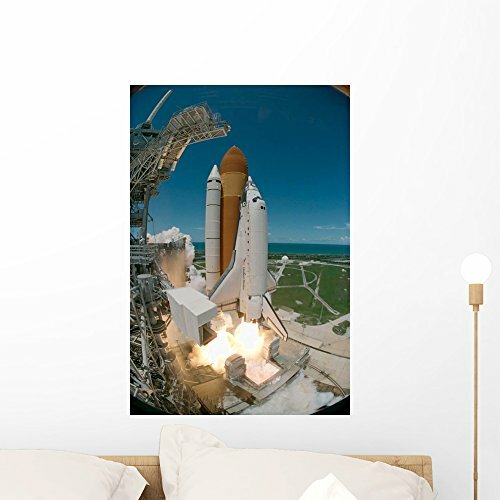 Did you follow the space shuttle program? CruiseReady, Do you know if the ship Endeavour's remains have been identified off Rhode Island? Before man went into space, it was up to Animal Astronauts to prove it could be done. Crucial flights were made by dogs, monkeys, and other animals. You probably already have stars on your holiday tree, so why not a planet? Or perhaps a rocket ship, or other space themed ornament would honor those who've gone to space.